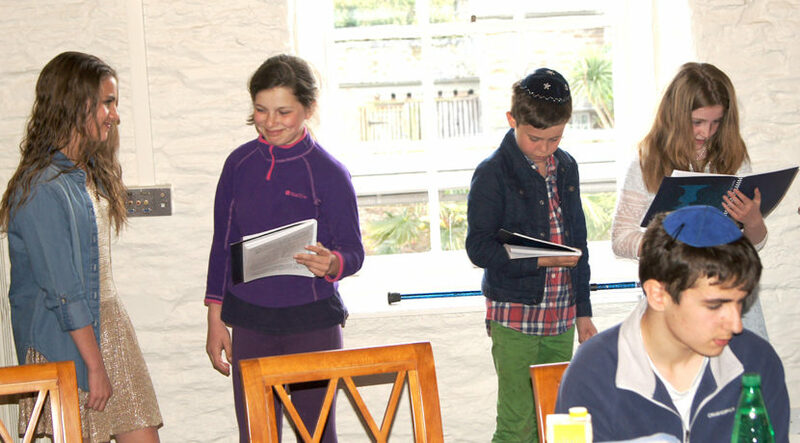 Leslie and I have uploaded some photos taken at the Pesach Seder in Trelissick. Please check them out! 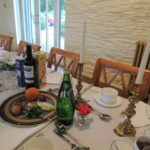 At the recent Seder, a good time was had by all, despite the absence of esteemed Newsletter Editor and stalwart Seder chef Pat Lipert, and Treasurer and general logistics wizard Leslie Lipert, who crossed the Atlantic to sample an American Pesach. 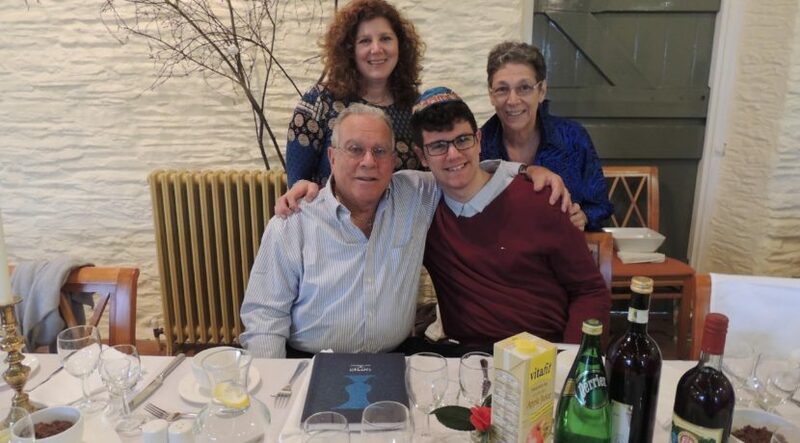 The potential imbalance of populations was restored by the movement the other way of Rachel Brown’s parents , who travelled from New York to Cornwall to spend Pesach with daughter and grandchildren. Kehillat Kernow Chair Harvey Kurtzfield and Vice-Chair Adam Feldman led the service with great verve. The food was carefully and tastefully prepared by members of the community and the afikomen was found by Isaac Feldman, the last time he will qualify to take part in the search. Once again, we experienced the moving yet joyful story of the Exodus. 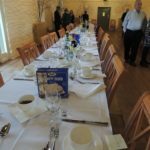 The photos from this year’s Pesach Seder at Trelissick Gardens are now online in the Photo Gallery. 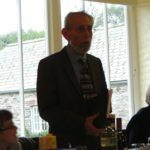 Enjoy a traditional service and super seder in an idyllic setting in Cornwall if you are in the Southwest for Friday night, 3rd April at 6:30pm at Trelissick Gardens. 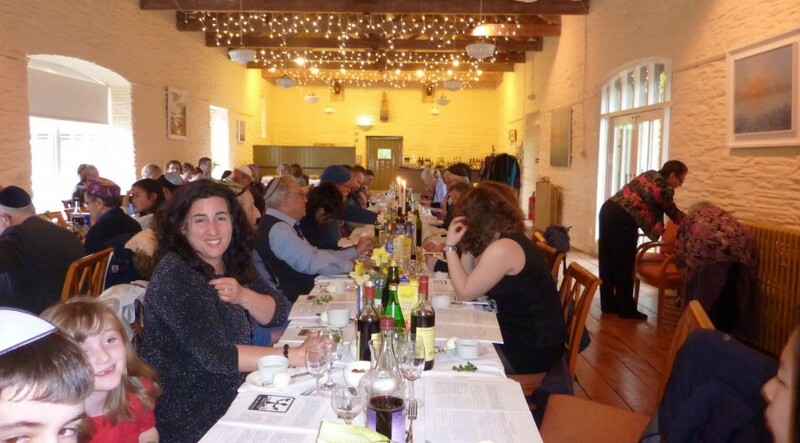 One of the highlights of the year, Kehillat Kernow, the Jewish community of Cornwall is delighted to welcome visitors to their seder and reading of the Haggadah at this beautiful festival held at a beautiful National Trust site. Both Ashkenazi and Shephardi food will be served. Tickets are available by contacting the event’s organiser, Mrs. Anne Hearle at 01736-731686. We hope that all our members had a good Pesach. It was heartening to see so many people turn up for our first seder night at Trelissick Gardens, where, incidentally, there is a fine display of Spring Flowers so well worth another visit. At our last Shabbat service, hosted by Julian Berg, we were pleased to welcome another visitor from the Liberal Community of Cologne. 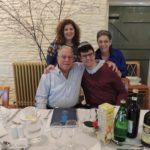 The last occasion when we met a whole family from Cologne was some years ago at a Pesach seder which was celebrated at rooms in Trevano. That facility has now been purchased by a private individual and the gardens are no longer open to the public. There are many events to look forward to in the coming months not least of all our Rosh Hashanna and Yom Kippur services which will be held in an exciting new venue.